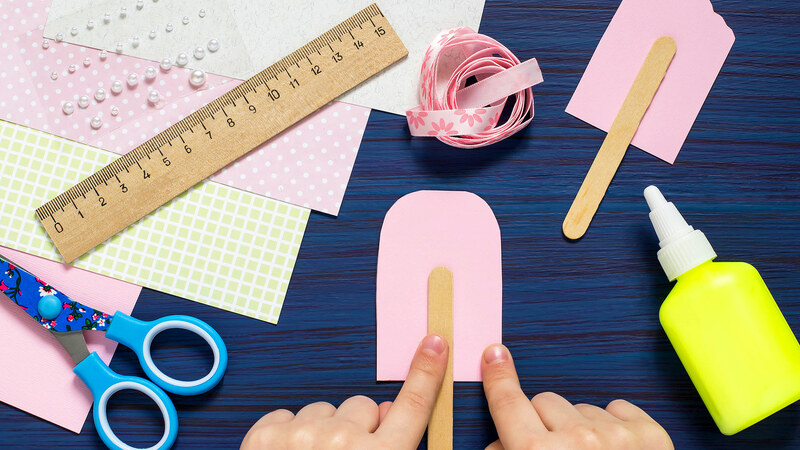 The days are longer, and the kids are out of school, and you know what that means: It’s time to dust off the ol’ “Arts & Crafts for Kids” Pinterest board and speedily plan a summer’s worth of fun activities to keep them busy and entertained. Not only is this a great way to spend some quality time with the kids, it also creates a much more hands-on, interactive summer than simply, you know, taking them to the movies. Have too many cardboard boxes? Don’t toss them yet; instead, enlist kids to create something special. 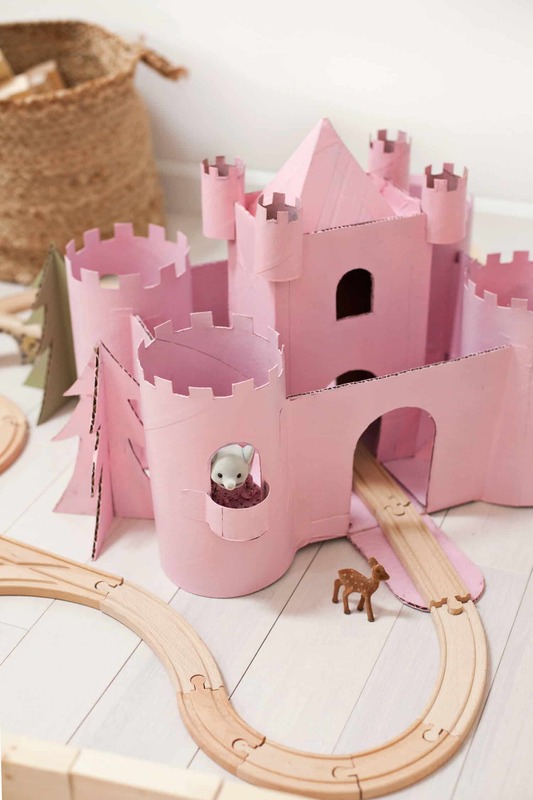 Why not upcycle that cardboard waste into a fun and magical toy castle? This craft is perfect for when kids have friends over. Plus, Oh Happy Day has a handy printable design for you to use. Does your kid’s room need a little flair? 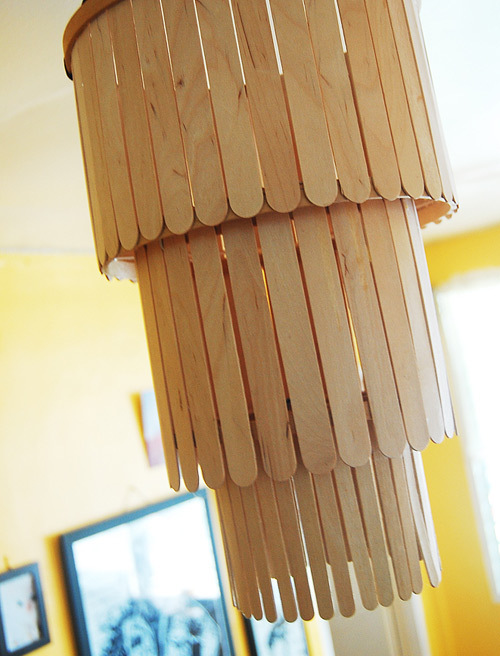 Have them make this easy DIY craft stick chandelier and proudly put it on display (once the glue dries, that is). 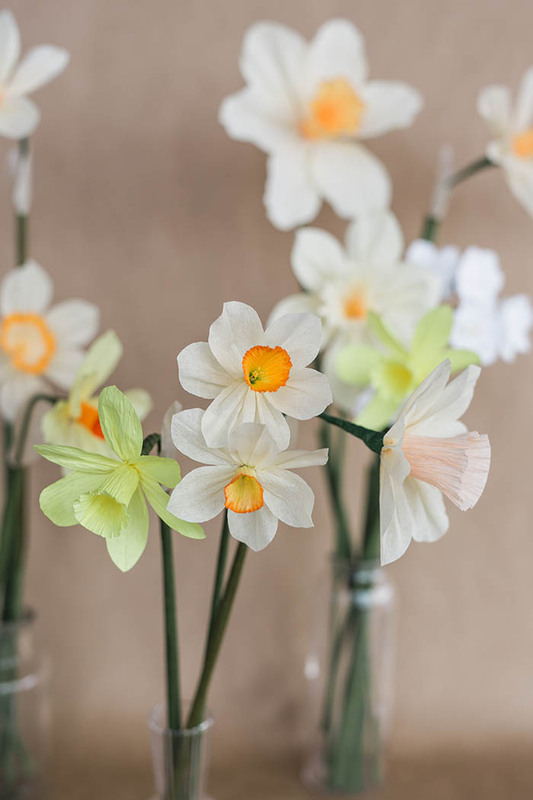 Skip the store-bought bouquet and have kids create their very own paper daffodils — this way, you can have spring blooms well into winter. 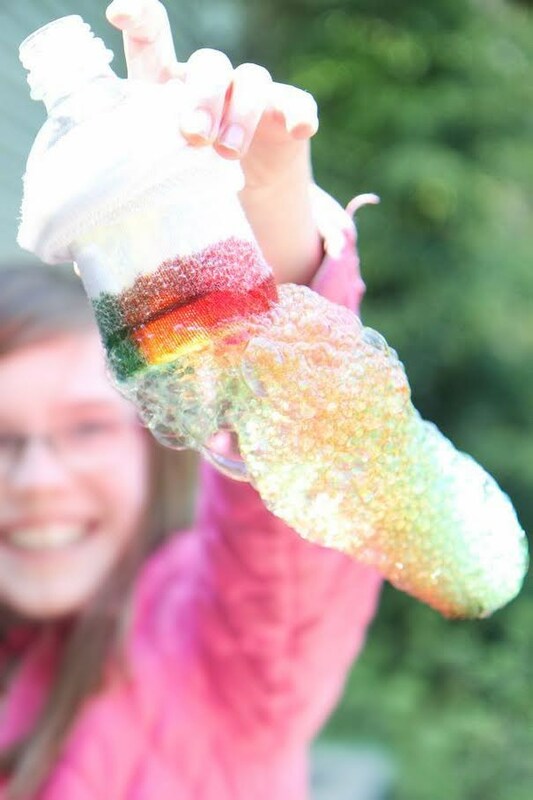 Kids will have a blast making rainbow bubble snakes this summer. 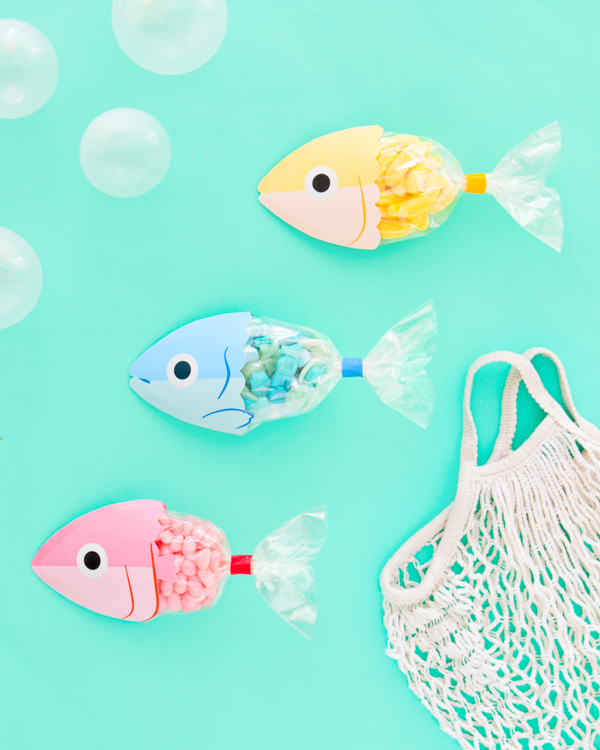 Plus, Mom Advice has a homemade DIY bubble recipe to go with this one. 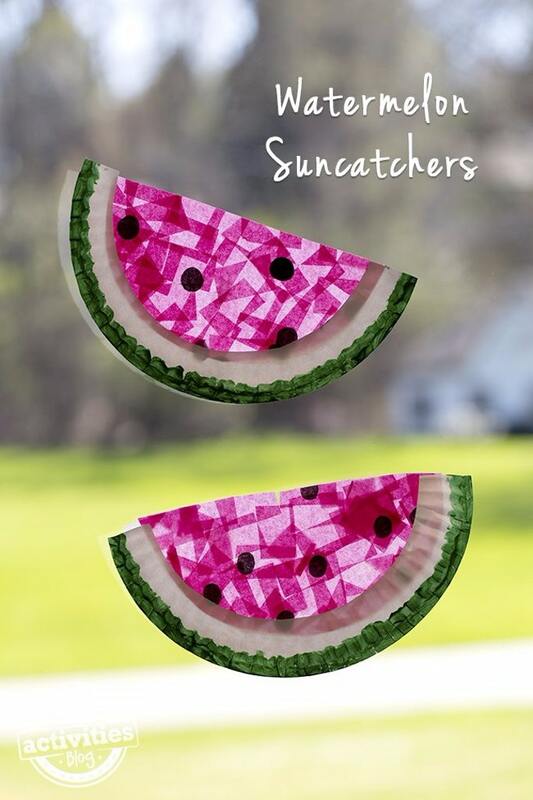 How sweet are these watermelon suncatchers? With just a few supplies, you’ll basically have summery stained-glass windows throughout your house. 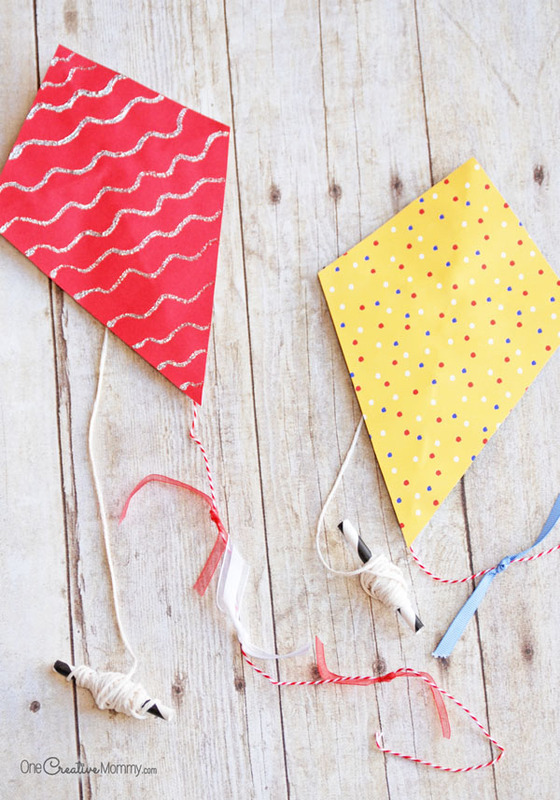 Who needs store-bought when you can create your own adorable mini paper kites? Plus, trying to get these babies to fly will keep kids running around outdoors. 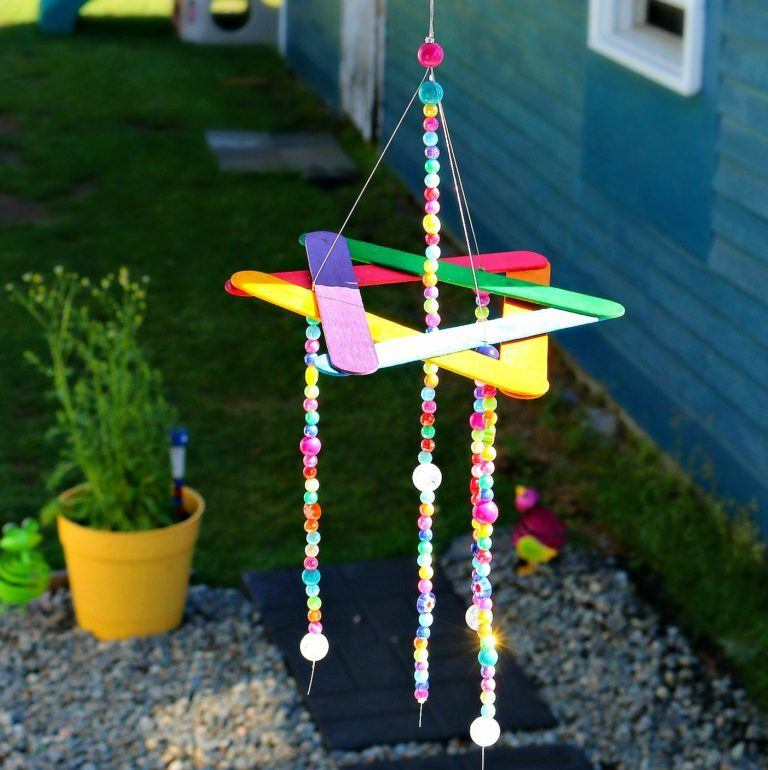 You probably didn’t even know your garden needed a cute beaded rainbow wind chime — but now you do. This one is super-easy to make with a handful of craft sticks, jewelry wire and a lot of beads. 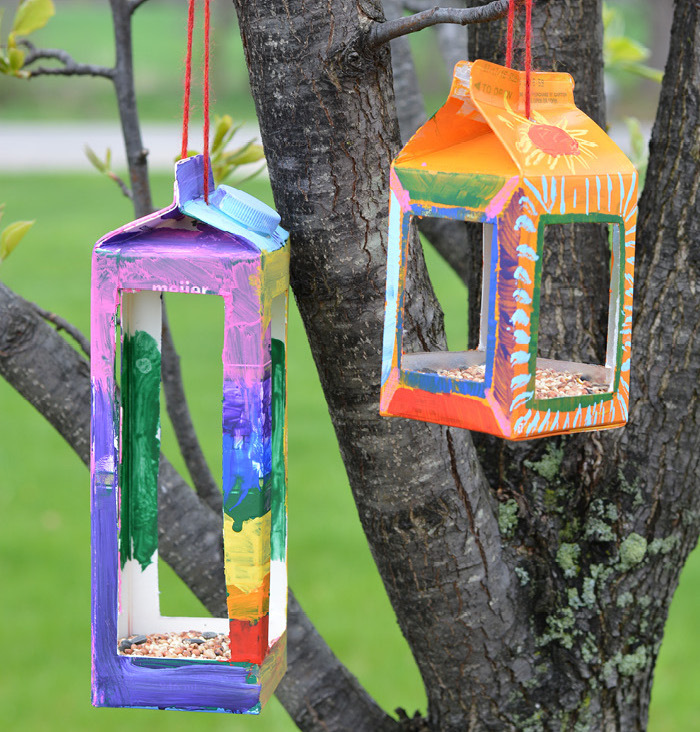 Grab a couple of empty cartons, brushes, plenty of paint and a few other tools, and get kids building their very own DIY birdhouse. 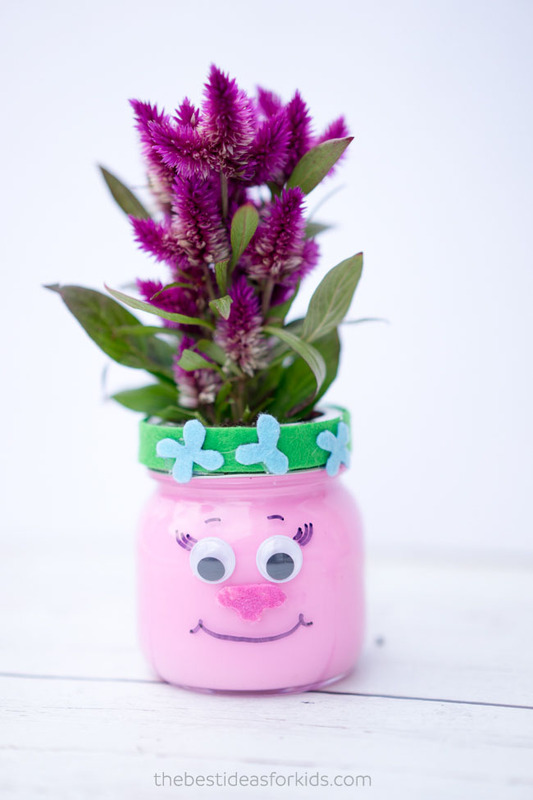 Kids can paint, draw and glue their hearts out while you pick out the perfect flowers to toss into these Trolls Mason jars. 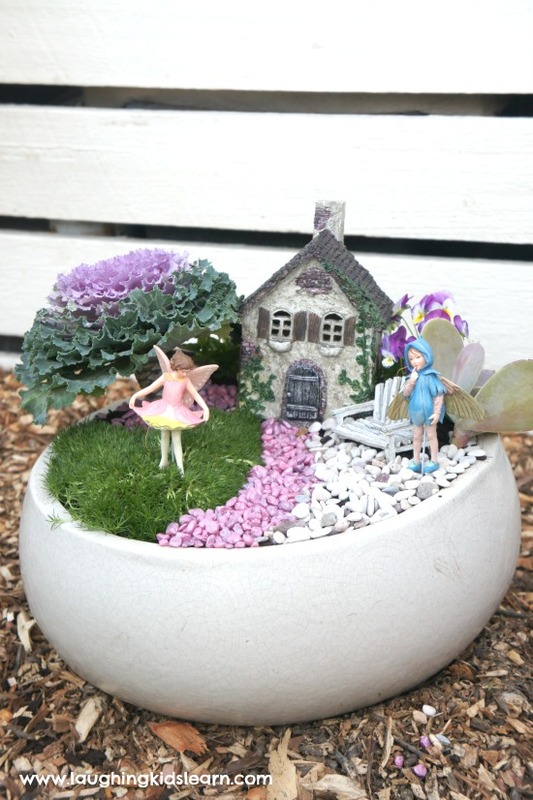 Tap into kids’ imaginations and create a magical fairy garden in your backyard. They’ll love picking out the flowers and little figurines.